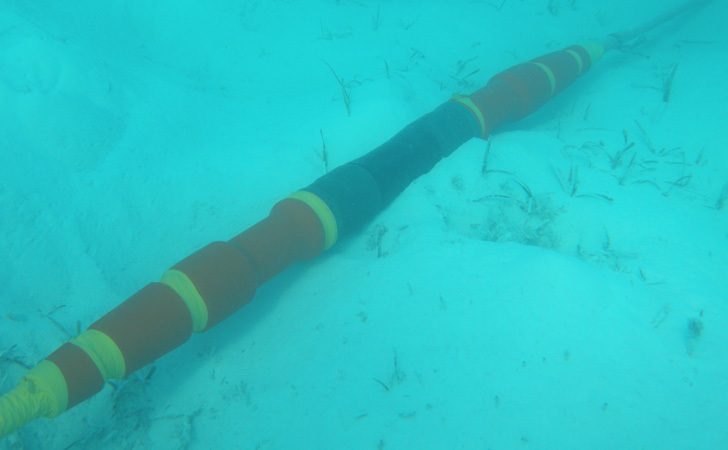 TE SubCom (formerly Tyco) contracted CSA Ocean Sciences Inc. (CSA) to coordinate all environmental analysis and permitting activities for the approximately 15,000-km (8,099-mi) long Segment 4 section of the Europe to India gateway (EIG) fiber optic cable system. Cable landing countries for Segment 4 include Egypt, Kingdom of Saudi Arabia, Oman, India, and Djibouti; non‑landing routing includes crossing territorial sea and Exclusive Economic Zone (EEZ) areas of Yemen. CSA was effective in providing permitting services for this geographically and geopolitically diverse project by developing a network of trusted, reliable, and knowledgeable consultants who were either located in the landing country or has worked within each of the landing and non-landing countries. This team of consultants was trained and experienced in a wide range of disciplines, including estuarine and marine sciences, fisheries, water and sediment chemistry, remote sensing, meteorology and air quality, coastal processes and resource management, wildlife management and ecology, wetlands ecology, archaeology, socioeconomics, contamination assessments, and environmental permitting and planning. This diverse background in science and regulatory coordination resulted in a successful permitting program for the EIG project. All Third-Party Crossing Agreements that were required where the cable route crosses other terrestrial, marine, and seabed users with established rights based on property ownership or historical use (e.g., tradition or custom). Examples include agreements with native peoples, subsistence and commercial fishing entities, pipeline and cable owners, military branches, and hydrocarbon and mineral lease block owners or lessees.